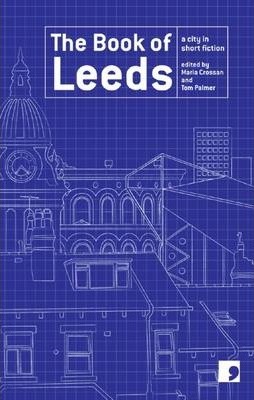 The thoughtful stories featured in this collection capture the soul of the city of Leeds by tracing the unique contours of 50 years of social and economic change. In one story the Millgarth Police Station reverberates with the early adrenaline rush of a case they won't close for years. Another tells of a teenage boy who trails the city center bars of the 1980s in thrall to his hero, a Leeds United football hooligan. Despite being products of their time, these stories remain distinct from the larger events and wider currents that have shaped the cultural landscape of today's Leeds, a modern city with both problems and promise. Featured authors include Tony Harrison, Jeremy Dyson, Shamshad Khan, Ian Duhig, David Peace, Susan Everett, M. Y. Alam, Andrea Semple, Martyn Bedford, and Tom Palmer. Tom Palmer was born and raised in Leeds. He is the author of The Bradford Wool Exchange and If You're Proud to be a Leeds Fan. He has also written two children's books and edited a number of anthologies. Maria Crossan is the editor of a number of anthologies dedicated to cities and city culture, including The Book of Liverpool, The Book of Manchester, and The Book of Newcastle, as well as Decapolis, a collection of translated stories about European cities.